We are committed in 2017 to supporting our community and one of the initiatives is our Dementia Support & Education Sessions. Is your loved one part of the 353,800 Australians living with Dementia? Are you one of the 1.2 million involved in caring for these Australians? Do you have unanswered questions? We invite you to join us for bi-monthly sessions throughout the year with the first one kicking off on Tuesday, 28 February with an “Introduction to Dementia” at the Toowong Bowls Club, 59 Gailey Road Taringa Qld 4068. The format will include a one hour education session with morning tea followed by an informal discussion. Receive eduction, information, support, ideas, tips and techniques as well as meet others who are in similar situations. Jubilee Community Care has over 27 years experience of supporting people in the aged care sector and we want to provide older people and their families with education and practical support as they travel together through this next chapter in their lives. This is important to us as we support older people to live at home or with their families, helping them to stay connected and engaged in the community. 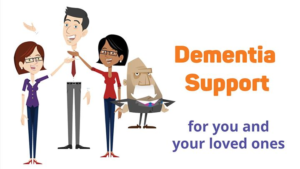 Our staff are qualified and skilled to support you and provide a forum within these sessions that will offer strategies and empathy for those living with Dementia. Call us today on 07 3871 3220 to reserve your spot and start feeling supported.